The all-new BMW 3 Series Sedan – BMW M340i xDrive. Photo BMW. BMW’s new top of the range, seventh generation, M Performance 3 Series—2020 BMW M340i and M340i xDrive sedans—will make its world debut at the 2018 Los Angeles International Auto Show November 30 to December 9 with the M340i xDrive model. 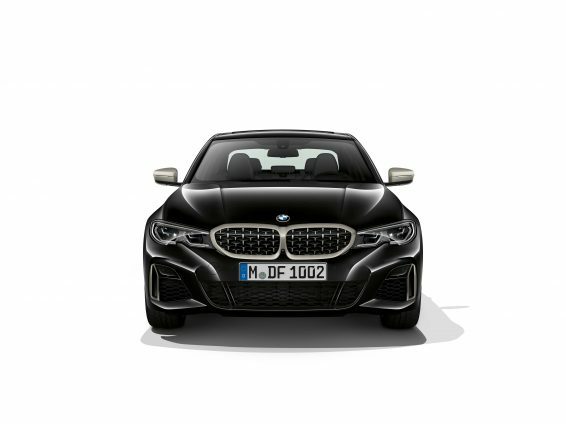 The new BMW M Performance models feature an updated six-cylinder in-line gasoline engine, M Performance chassis tuning, optional xDrive intelligent all-wheel drive and the standard M Sport rear differential and promises to deliver performance attributes that will satisfy and impress any driver. The rear-wheel drive BMW M340i come with reduced weight compared to its all-wheel drive sibling and enhanced steering feel compared to the outgoing models. The BMW M340i xDrive Sedan adds the increased traction of all-wheel drive to improve the new model’s abilities in both dry and adverse road conditions. The new version of the straight-six engine, developed for the BMW M340i and M340i xDrive Sedans, produces 382 horsepower and peak torque of 369 lb-ft.
A 0-100 km/h time of 4.4 seconds (provisional figure) takes this new BMW M Performance model into territory previously inhabited by BMW M cars. Early summer of 2019 will see the arrival of the BMW M340i and M340i xDrive sedans in Canada.